This site is about adventure and exploration: my adventure and exploration of the USA in a motorhome named Charlene and with my little blue motorcycle, PeeWee. It’s also about campground reports, great photography, photo tips, product user reports, and interviews with people I meet as I travel the USA. The adventure started before ever hitting the open road. 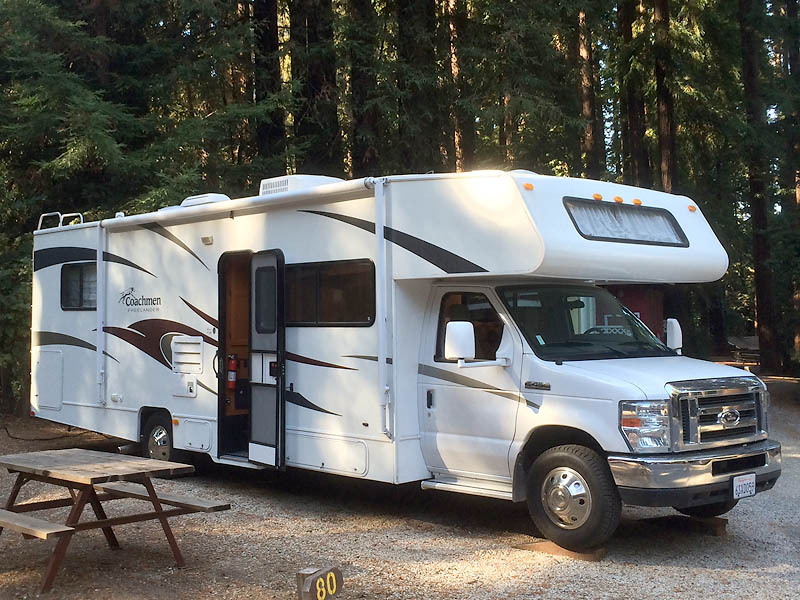 It began with renting an RV for a few days more than a year before I actually purchased Charlene, and it’s continued on ever since then in the process of shopping for an RV, learning about and making modifications to Charlene, and in learning about blogging so I can share what I’ve learned with you. Most importantly, now that I’ve been on the road as long as I have, much in the way of campground reports, photos and photo tips, product user reports, interviews etc. has been added. As my adventures unfold I’ll add them to the blog. As I edit this page on Nov. 8, 2014, I have just begun my seventh month on the road living full time in my RV. I don’t edit this page often, so if you’re reading it at a date later than that it’s likely that much has been added to the blog since. Give it a look. If you’re thinking about RVing yourself but haven’t yet started, then some of my experiences may help pave the way. If you’ve been RVing for years perhaps some of my product reviews for a new gadget will prove useful, or my interviews entertaining. Whether you’re new or a veteran perhaps I’ll write about some place I’ve visited that you’ll decide you’d like to visit once you’ve read what I have to say about it. Maybe you’ll just like reading about my adventures, or looking at the photos I post. Maybe you’re someone I know who’d like to catch up on what I’ve been doing. Whatever your reason for stopping by I’m glad you did, hope that you’ll value what you find here and that you’ll return again. It would be great to hear from you too with your comments, questions and suggestions. I’d like that. If you like what you find on my blog I can send you email notifications when I add new posts. Look for the Follow Russ text entry field on the left and/or bottom and enter your email address. Rest assured your email address will not be shared for any purpose.